When I think of favorite things I think of feeling good. So I guess the synonym would be 'feel good things.' Fashion and personal beauty make me feel good...delicious sweets, decorating, vintage things, getting creative...Maybe these things aren't mandatory for living but they're necessary for living well. And being that life can get a bit busy...these things can often take a back seat to simply getting through the day. That's what is so great about blogs, pinterest, flickr, etc... They're all home bases for remembering the feel good things. Katie's Pencil Box dress...the color and those polka dots make me melt. 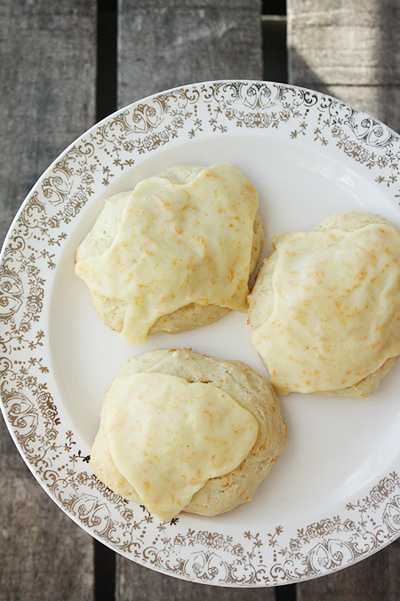 For a while me and Aaron were addicted to scones, and each morning we'd get in the car to find the best in the area. One of our fave kinds to get were Orange Scones! Life can get topsy turvy and all that. One thing that I think is a bit grounding is to do your nails in a fab way. It's a great accessory and when you look down at your busy hands it's a little reminder of simpler things. 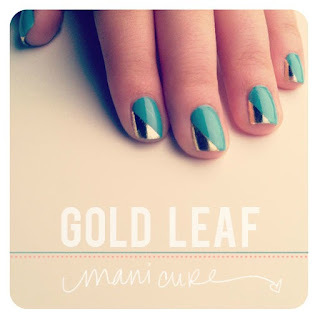 I love this Gold Leaf manicure tutorial. Cottage style furniture...all peely paint and faded color. A well lived in piece of painted furniture warms my soul. I love things with history. Things that are used and used a lot. This piece by Rachel Ashwell is amazing. I Love Where Women Create. I love all Jo Packham publications. (It was such an honor meeting her in NYC at the Where Women Cook magazine launch, and getting to spend time with her again when we taught at The Creative Connection.) Getting creative is a must for me, and I hope it is for lots of gals...even those who don't do it for a living. 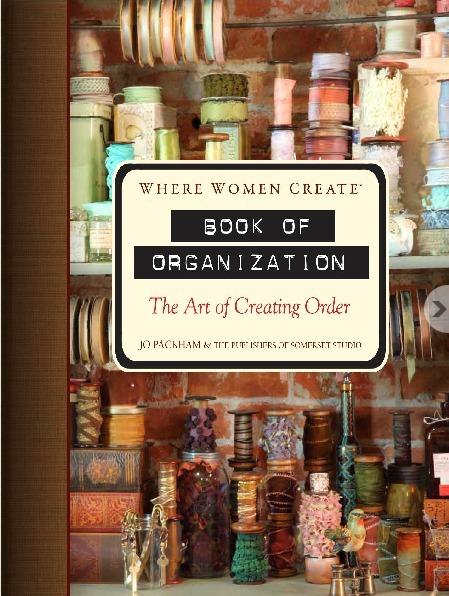 And seriously, one of the biggest hurdles in freeing your creativity is first getting organized. There are so many fantastic and outside of the box examples of esthetically pleasing methods for organizing your creative workspace in this book. Ok, I hope my favorites made you feel good too! Happy Weekend! Ps..... 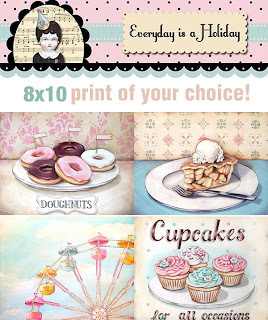 I'm co-hosting a FUN giveaway over at Wonder Forest! 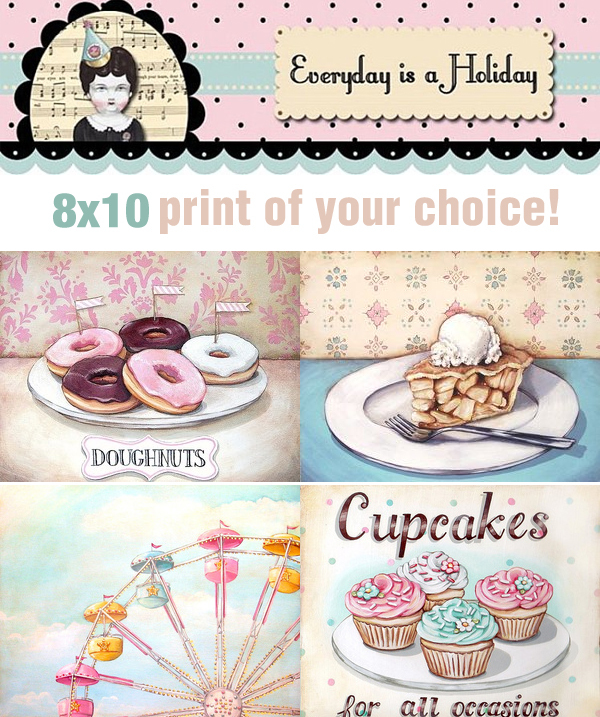 Pop over and enter to win an 8x10 print of your choice and some super cute note cards from Row House 14! I love all your Friday favorites, Jenny! They definitely made me feel good! Thanks for sharing such happy things with us! Something that always makes me feel happy is your adorable artwork!!! And that dress is over the top cute! 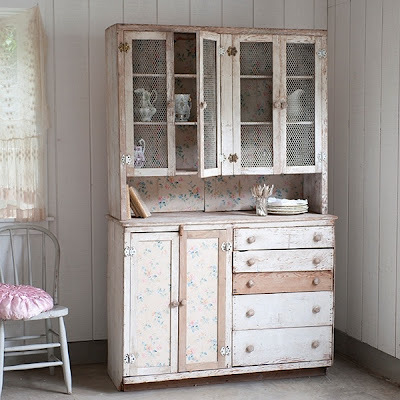 And the cupboard from Rachel Ashwell makes me swoon! Ooo that dress is so lovely. I just bought a similar one today but I think I like the one you posted better! 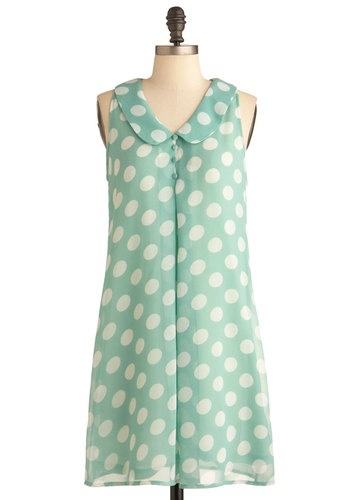 The mint color looks nice with the polkadots. Ahhhh I want that dress! Plus I loooove Katie and her blog, it'd be awesome to have her namesake dress! I love the dress and the scones! That book is something I should own. With three kids, the manicure is probably not going to happen. :) Thanks for sharing, Jenny! I love the colors of the prints and patterns of the wallpaper in the background! i have to say, it makes me feel less like a freak for liking organization when there are entire books about it, hehe:) keep up the great work, LOVE our blog!!! Great Friday favorites. Love the dress. Thanks for the chance to win! That first dress is amazing, it would make me really happy :).